Pretend you’ve just been commissioned to bake a life-size, 3D bicycle-shaped triple chocolate cake for a grand soiree. If it turns out great, you’ll get paid $50,000 and everyone will enjoy the beautiful, delicious dessert. If it fails—it’s dry, or the bike looks more like a melting pony—you get no money, you’re out the cost of the ingredients, and you’re left with a pile of uneaten cake. What would you do: try a lot of different recipes and decoration schemes on small bike cakes ahead of time, so you can see what works and what doesn’t, or just wait and bake the big cake using a recipe you haven’t tried before, hoping everything turns out fine? To most of us, the answer is obvious. We’d rather test out options on a smaller scale to minimize the impact of failure, learn what’s worth implementing on a larger scale, and reap the benefits of smaller successes in the meantime. This approach makes sense any time we have a huge goal in mind—say, making all of Asheville’s streets, sidewalks, and infrastructure safer and more accessible for cyclists and pedestrians—and it’s the philosophy behind “tactical urbanism,” a newer approach to infrastructure planning, which this booklet from People for Bikes does a good job of explaining. Basically, tactical urbanism allows a city to make widespread, lasting improvements by funding and completing a variety of smaller, cheaper, quick-turnaround projects, so they can see what works and what doesn’t without investing too much time or money and with minimal disruption to people’s lives. And it works. 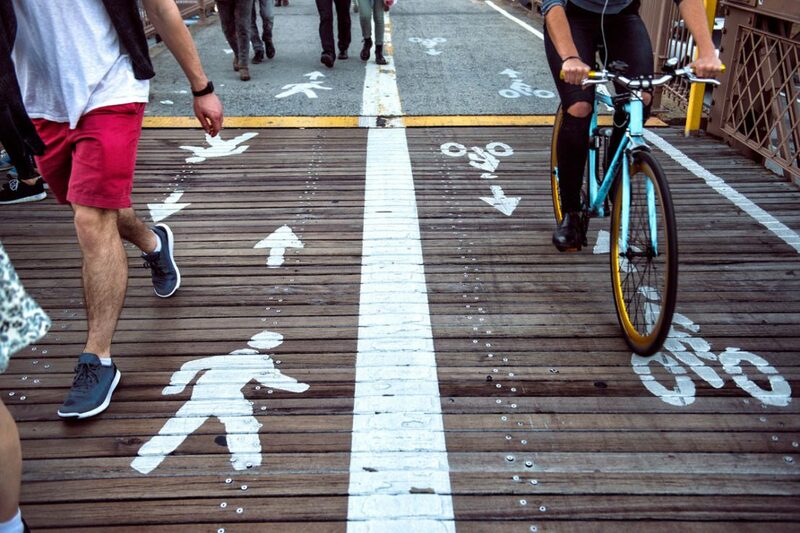 Towns and cities that have embraced tactical urbanism, including New York, Portland, and Memphis, have seen small-scale or even temporary improvements evolve into more expansive, permanent plans for more (and safer) bike lanes and sidewalks and more green spaces. Transform Your City With Tactical Urbanism from STREETFILMS on Vimeo. If a small project fails for whatever reason, it may sting a bit—but better to find out on a smaller scale and adjust as needed to until you have success and can work towards larger goals. 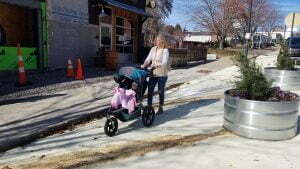 Mom with stroller taking advantage of the safety of the multi-use path on Coxe Avenue. Thanks to the efforts of Asheville on Bikes members and sponsors, Asheville is poised to embrace tactical urbanism, and with your help, we can make it our city’s M.O. 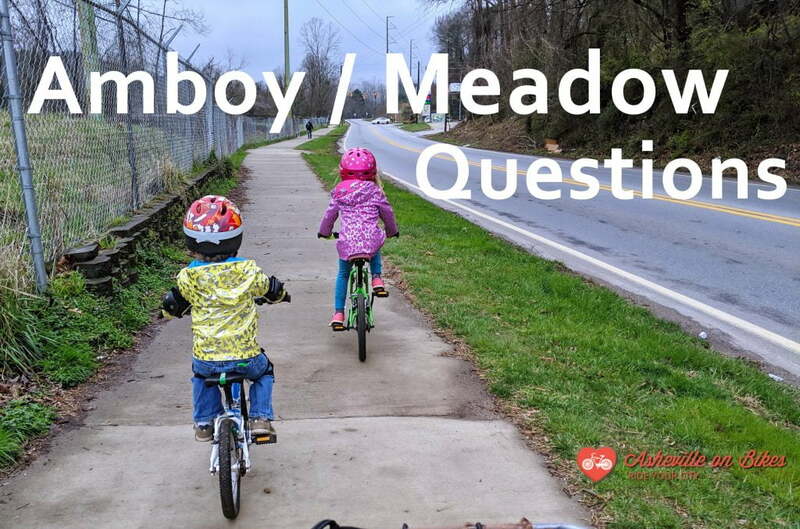 By joining Asheville on Bikes, you’re telling our elected officials and city planners that having safe, accessible multi-modal infrastructure is important to you. It takes just a few minutes to become a member. Join now!